Greece is the home of the longest uninterrupted wine-making tradition on earth. Artefacts and the earliest records written in Greek attest to its existence in the second millennium BC. The place of wine in the literature, mythology and art of classical Greece is well known; and in the medieval and early modern periods wines from Greece were highly prized in the west, particularly those of Samos and Santorini (the famous Malmsey wine, for instance, took its name from the fortress port of Monemvasia from which much wine was shipped). Yet it is only in the last thirty years that contemporary wine making has taken root in Greece. At first the focus of this new wave of winemakers was the reproduction of prestigious styles with international varietals; but they soon turned to the native grapes. 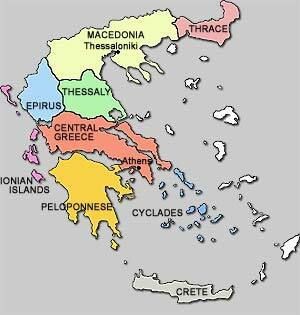 It is quite widely appreciated that Greece is a botanist’s paradise: its position at the boundary of Europe and Asia and its division by sea and mountain into a myriad of different habitats have produced the richest flora in Europe and one of the richest in the world. It is not, however, widely appreciated that Greece exhibits an analogous abundance of indigenous grape varietals: a standard handbook lists over 200 and does not claim to be complete. There are vineyards all over the country in quite diverse climatic zones; many are at considerable elevations with severe winters and cool summer nights. By the standards of France or Italy, let alone the New World, vineyards are small (total production of wine in the whole country is much smaller than that of Bordeaux alone) and the terrain inhibits mechanisation. If only for reasons of cost Greece will never compete at the bottom of the market. Naturally endowed, nonetheless, with an enormous variety of soils, climates and native grapes, Greece is one of the most exciting wine regions in the world and has the potential to be one of the greatest. The wines selected by Vickbar show that some of its winemakers are rising to the challenge.